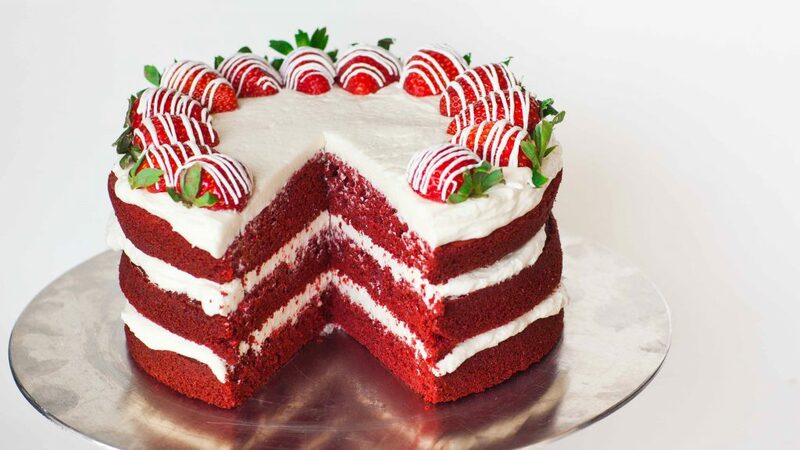 Spread the love this Valentine season with these delectable desserts and cake recipes. In a medium bowl, whisk together flour, cocoa powder, salt and sugar. In a mixing bowl with whisk attachment, or using a handheld electric mixer, or by hand, beat the eggs for 1 minute. Add milk, buttermilk, vanilla extract and gel colouring. Beat the mixture for 3 minutes. Add the flour mixture and beat on medium-low speed just until combined, 1-2 minutes. Don’t overmix, or the batter will get tough and rubbery! Cover with plastic wrap so it touches the surface of the batter. Let it sit for 30 minutes. When ready to fry the crepes, whisk in the vegetable oil. Heat 10-inch non-stick skillet over medium-high heat. (The bottom of my 10-inch pan measures 7 inches, which means the crepes will be 7-inch round.) Place a little less than ¼ cup of batter into the hot pan, quickly swirl the pan so the batter evenly covers the bottom of the pan. In about 1 minute, when the edges of the crepe start to pull away, flip it over using a spatula. Cook for about 30 seconds or so and stack the crepes on a plate. You’ll get about 20 crepes. Cool the crepes completely. You can wrap the crepes with a plastic wrap and refrigerate for up to a day. To make the cream cheese filling, beat the cream cheese and butter in a medium mixing bowl with paddle attachment, or using the handheld electric mixer. Add powdered sugar, vanilla extract and milk and mix until smooth, starting on low speed and slowly increasing the speed to medium-high. To assemble the cake, spread heaping one tablespoon of cream cheese filling on a crepe. Place another crepe on top and spread another heaping tablespoon of the filling. Repeat until all crepes are used. Top with sprinkles, if desired. Serve immediately, or store in airtight container in the fridge. Bring the cake to room temperature before serving. Preheat your oven to 325°F. Grease a 20cm x 20cm (8”x8”) baking pan. Bring the wine to a boil in a medium saucepan over high heat. Reduce until roughly 1/3 cup remains. Remove from heat and allow to cool to room temperature. In a large bowl, sift together the flour, cocoa, baking powder and spices. In a separate bowl, mix together the butter and sugar until pale and fluffy. Use either a stand mixer or electric beaters. Add in the beaten egg a little at a time. Be sure to fully incorporate the egg in between additions. Pour in the reduced red wine and mix until fully combined. Next fold the dry ingredients into the butter, egg, sugar and red wine mixture. Use your largest available spatula to do so. When well combined, fold through the grated chocolate and pour the batter into your prepared baking pan. Bake for roughly 30 minutes or until a wooden skewer inserted into the centre of your cake comes out clean. Cool on a wire rack, then top with your favourite icing. Preheat oven to 350 degrees F. Line two 6-inch round cake pans with parchment paper. Grease lightly and set aside. Whisk together flour, baking powder, and salt. Set aside. In the bowl of stand mixer fitted with a paddle attachment, combine melted butter, coconut oil and sugar. Add eggs and beat until mixture is pale in colour. Scape down the bowl as necessary to ensure thorough mixing. Alternate adding flour mixture and coconut milk, beginning and ending with the flour. Mix on low speed until combined. Fold in dried coconut. Divide batter between the two prepared cake pans. Level batter and bake for 35-40 minutes until cakes are golden brown and the toothpick inserted in centre of a cake comes out clean. Let cool in pan for 5 minutes before unmolding. Allow cooling to room temperature on wire rack. In the bowl of a stand mixer fitted with a paddle attachment, cream together butter and cream cheese until smooth. Scrape down the bowl as needed. Add sifted powdered sugar. Mix on low speed while adding coconut milk and vanilla extract. Add a pinch of salt and mix until frosting is smooth. 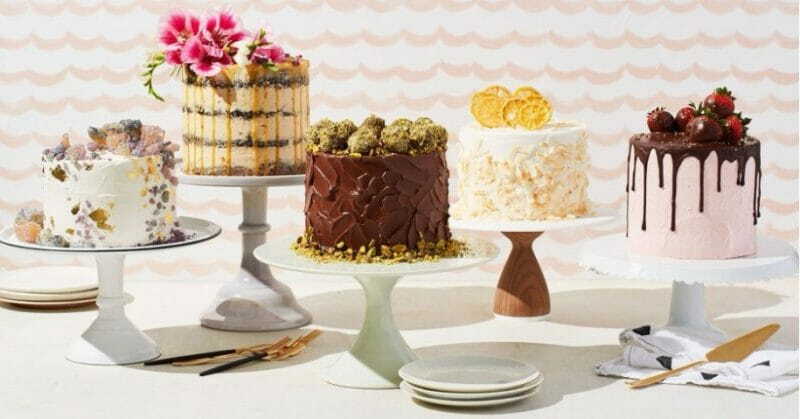 Slice each cake into two layers so you end up with 4 layers of cake. Place one layer on a cake stand or cake plate. Combine 1/4 cup simple syrup and 3 Tbsp coconut vodka. 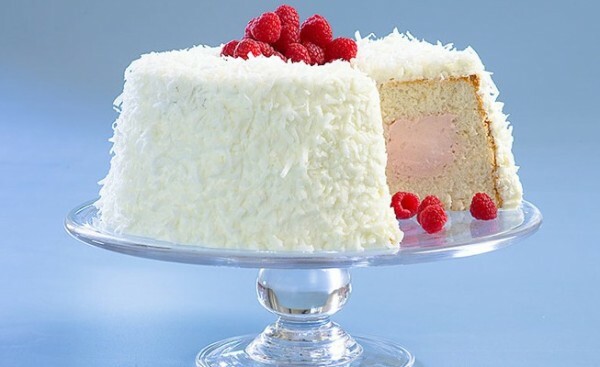 Lightly moisten the cake layer with coconut vodka syrup using a pastry brush. Spread a thin layer of raspberry preserves over moistened cake. Add about 1/3 cup frosting and spread into an even layer. Place another cake layer on top. Moisten cake with syrup, follow with raspberry preserves, and top with frosting. Repeat until you finish with the top layer. 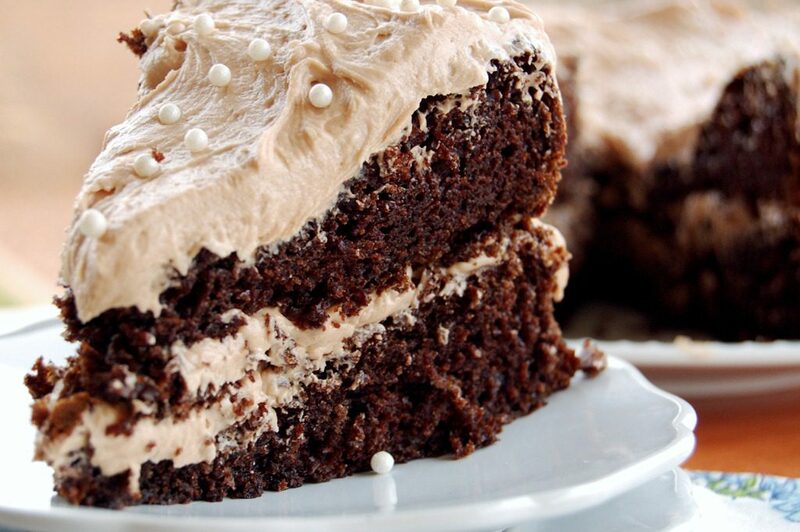 Spread any remaining frosting on the sides of the cake, if desired. Otherwise, smooth the top of the cake and finish my smoothing the sides the cake with an offset spatula. Garnish the cake with fresh raspberries and pistachios. Keep cake stored in the fridge until ready to serve. Let cake sit at room temperature for at least 45 minutes before serving to allow the cake to soften. What! Sanjay Leela Bhansali's Padmavati Will Release With A New Title Now?